The Snohomish Community Food Bank exists to provide food and services in a caring and dignified manner to our neighbors in need. 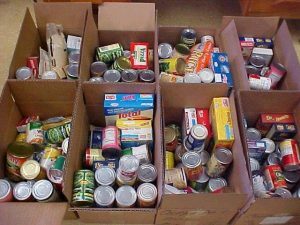 The Snohomish Community Food Bank is open for food distribution on Tuesdays and Fridays and is open for business Monday through Friday. 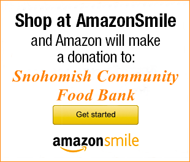 The Snohomish Community Food Bank operates solely through the generosity of our donors. Thank you for your support! The Snohomish Community Food Bank is more than just a food distribution center – we’re a vital, connected part of the community we serve. The Snohomish Community Food Bank runs on the grace and energy of our volunteers. Over 140 people give their time each week to serve our community. 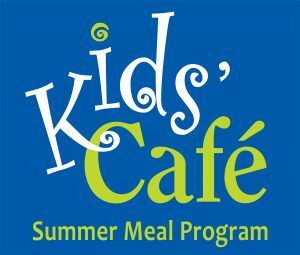 Below is an inspiring letter from Kristin Foley about the success of this summer’s Kids’ Café Meal Program. It is awesome what a School District and a community can accomplish together! On behalf of the Snohomish School District, I would like to thank you for your help with this year’s Kids’ Café Summer Meal Program. This summer, more than 183 volunteers (totaling more than 915 volunteer hours) joined us in our effort to feed children and families from our community. We served meals a total of 52 days, and when averaged, we served about 477 meals each day. We truly could not have accomplished this without your support and assistance. Your help has allowed us to feed children who may have otherwise gone without. We hope you enjoyed the experience as much as we enjoyed working with each of you. Our plan is to bring the program back next year for our 10th summer. Thank you again for your commitment, dedication and for being a part of our Kids’ Café team! 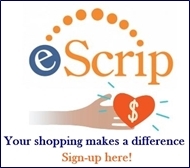 Your efforts have directly impacted the lives of many children and families throughout our community. Thank you to everyone who generously donated at the Evergreen State Fair “Fair Cares Food Drive”. Over 29,000 pounds of food was collected for local area food banks. Yes, that’s almost 15 TONS of food!! Incredible! 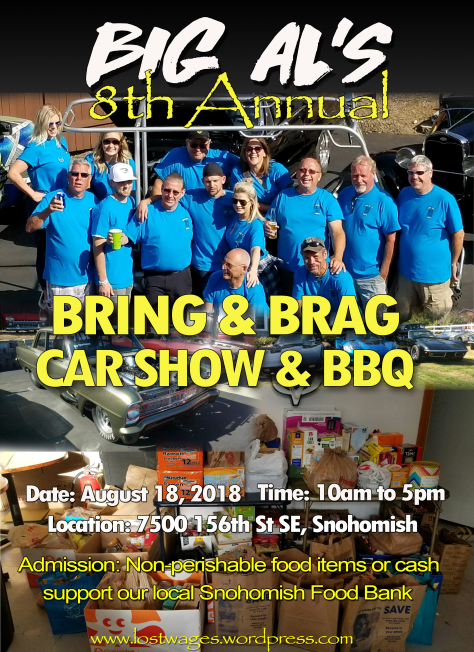 Every August, Allen “Big Al” Campbell and Janet Towns host one of the best community events in Snohomish: Big Al’s Bring & Brag Car Show & BBQ. This year the hot rods, muscle cars, restomods, rat rods and motorcycles were epic and so was their donation of 850 pounds of food and $2,500 for the food bank! Thank-you Janet and Big Al for your dedication to feeding the hungry in Snohomish!